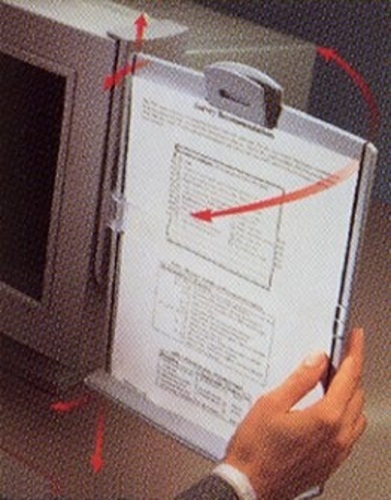 A fixed height, plastic (acrylic) copy holder, which can attach to the left or right side of a computer monitor and supports A4 size documents. Two models have adjustable angle. It is available with various options, in three sizes. The copy holder is made of clear acrylic, and comes with hook and loop adhesive pads to fix to the monitor. It is available in two sizes only and can be positioned on the left and right sides of the monitor. 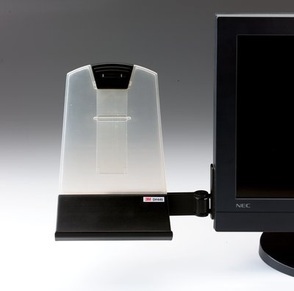 The copy holder can be folded away, parallel to the monitor when not in use. The holder has a clear plastic sliding line guide on the side, which can be used as a line finder, and a paper clip at the top to hold A4, letter and legal sized documents in portrait or landscape orientation. 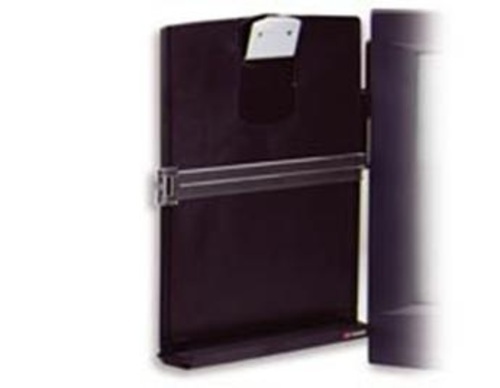 The document holders can hold up to 150 pages. Model DH440: Attachable to either side of monitor, sliding clip adjusts to hold up to 150 peices of paper, swings out of the way when not in use. Model DH445: Designed to be mounted on flat LED monitors, left or right sided mount, height adjustable clip, folds away when not in use. Model DH540: SIx way adjustable monito mount. Can be mounted on left or right side of the screen, swings out of sight for storage. Model DH340 : Desktop document holder, non-skid bottom, sliding clip, holds up to 150 pieces of paper, folds flat for storage.